Click the button below to add the Fast Rack Top of Pole Mount for 6 x 60/72 Cell Module 6" Collar to your wish list. This can be used with any 60 or 72 Cell Solar Panels that we carry. 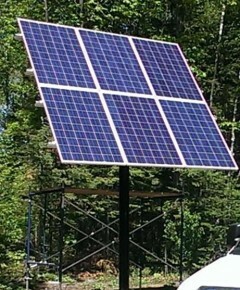 Our Universal Top of Pole Mounts (TPM6) fits six 60 cell solar module in a rigid, corrosion resistant aluminum frame. The collar slides over 6”, schedule 40 pipe, and has adjustment tilt angles. 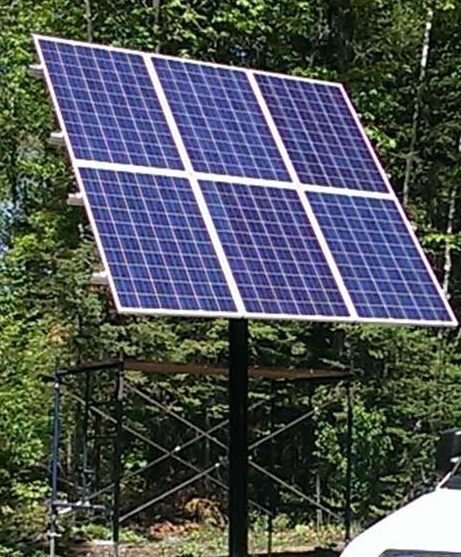 Easy assembly – Ideal for off-grid systems with 1250+W of solar. This system can perfectly utilize a classic 150, PT 100 or Outback Charge Controller. Suggestions for installing the post correctly can be downloaded from this link.